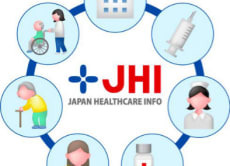 JHI provides a wealth of free information about medical care and services in Japan. We also provide individual help to locate English speaking doctors and set up appointments for a small fee. We have worked for hospitals,clinics and international medical organizations to assist international patients, and are both experienced in this field and are also very familiar with the expectations and needs of foreign patients. If you are sick or injured during your stay in Japan, contact us first and we will make the necessary coordination promptly so you can receive proper medical care suited to your needs in Japan.